Bright green has been adopted by environmentalists to symbolize the planet’s essential need to protect, recycle, grow, and reuse (transform) natural resources. Green energy suggests growth, change, and harmony. 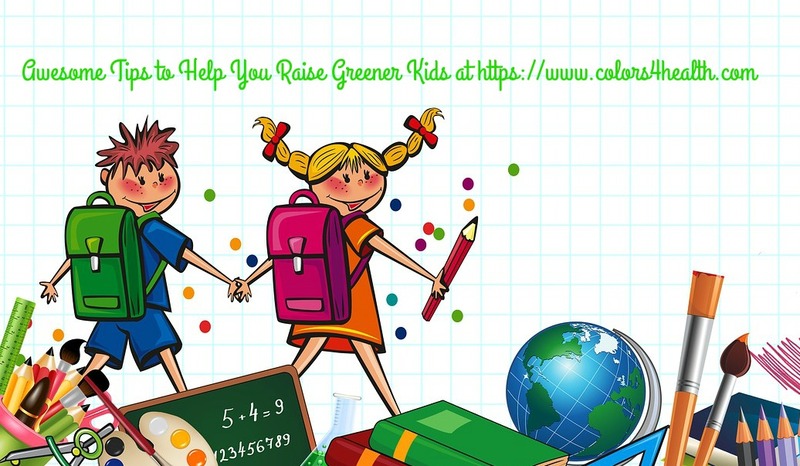 This post is offered to celebrate the planet and help parents and grandparents learn new ways to be eco-friendly. Kids learn more from what you practice than what you say. 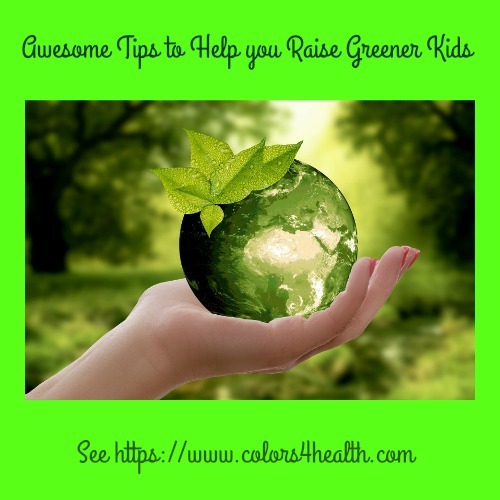 Inspire your offspring by acting greener, and they will emulate you. 1. Do more of your errands on foot or bike, and take kids along. 2. Reserve time to get outdoors for family interactions. Take in the beauty of nature. Add quality to relationships, and remove electronic devices from the equation. 3. Have fun this year at a family beach party, gather at a picnic table, play sports, relax in the shade of an oak tree, converse, and garden. 4. Appreciate sunlight. It provides a healthy dose of Vitamin D, and shows off the landscape with its flowers and fauna. 5. Help clean up a local park, nature preserve, and community garden. When kids join in to spruce up an area, they relate to nature in a caring way, and are less likely to dump garbage, damage, or destroy vegetation and property. 6. Ashley Adamant from Practical Self Reliance, an eco-blog based in Vermont shows us ways to teach kids about herbs. Here's one example of how Ashley helps her kids understand and appreciate nature. "Exploring herbs is just part of their everyday life. Herbs are tangible and easy to understand, even for the smallest of children. Their young brains are wired for learning and pattern recognition, and the same openness that allows a toddler to learn language also allows them to recognize patterns in the natural landscape." Ashley Adamant. 7. Encourage kids to get involved in growing, tending, and harvesting produce. 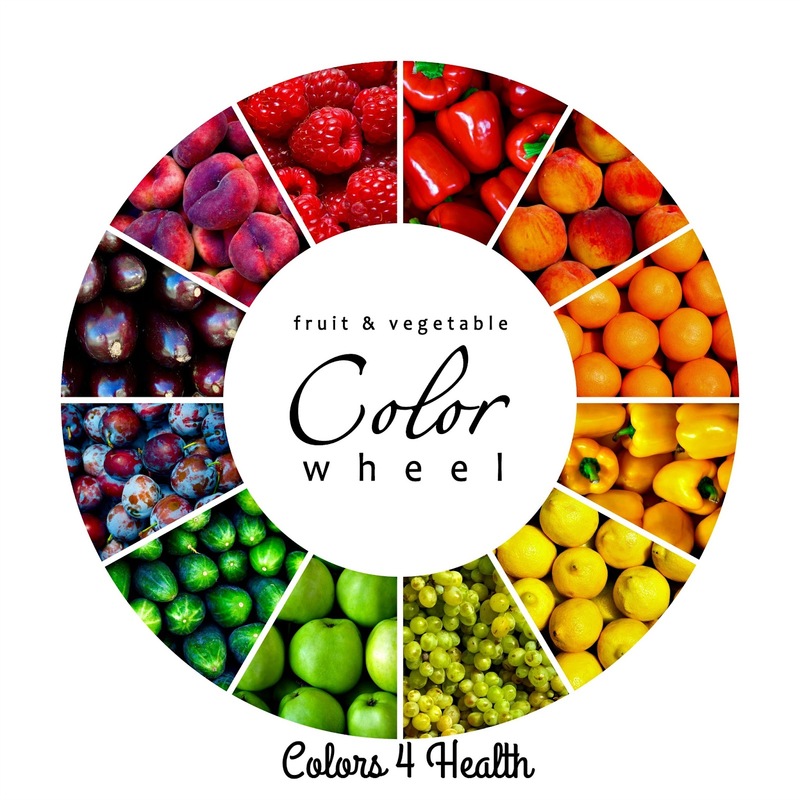 This increases awareness of where food comes from, improves physical development skills from digging, lifting, watering, etc., and your youngsters will be willing to taste and even savor those veggies and fruits they truly have had a hand in growing. 8. Read 30 Great Ways to Upcycle and Recycle outgrown children’s clothes. Ideas from Tiffany Taylor at Morning Chores. 9. Sort through personal belongings and have kids do the same. Recycle books, toys, games, electronic devices, and sporting equipment by giving them to a school or recreational facility. 10. Marla Gates, the green blogger at Organic 4 Greenlivings provides 3 Tips to Go Green as a Family as You Prep for School. 11. 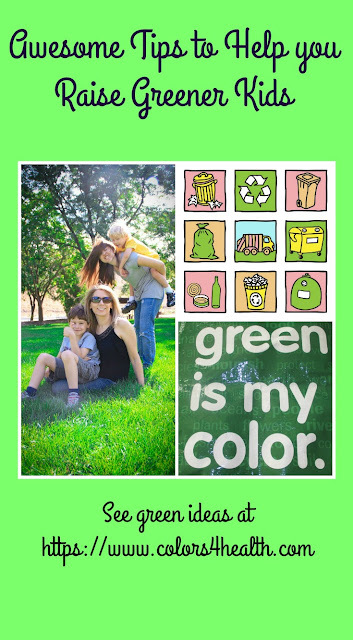 Megean Weldon, the green blogger at No Waste Nerd suggests 5 Easy Things Kids can Actually do to Help the Environment. One example from this post is: "Give them (children) their own reusable water bottle, napkin, lunch box, and cutlery. Just like we carry a kit to avoid disposables, allow them to be in control of their waste avoidance too. Make using reusable items, as opposed to tossing the single use items, the norm as early in their lives as possible." 12. For eco-friendly clean ocean ideas see 11 Simple Ways to Save the Ocean from Turning Into Plastic Soup . The author of this piece is Sara Critchfield. Before you go, please comment in the space provided below. Share ideas, questions, and tips. Please no links in your comment, or I won't be able to publish it. Discuss environmental issues with friends, family, community groups, and political figures. Vote with your pocketbook and support those organizations and people that are eco-friendly. Be vocal about your eco-opinions on social media and in the voting booth. It's up to each one of us to do what we can to preserve precious natural resources, reduce our carbon footprint, and live greener lives! Did you know that Dementia is one of the major causes of disability and dependency among older people worldwide, but it is not a part of the normal aging process? I’m including this hot topic now at Colors 4 Health. It's Part 5 of the Healing Series, because almost everyone knows someone who is or has suffered with Alzheimer’s disease or Dementia. Just a few weeks ago, our dear family friend died of Alzheimer's disease. I dedicate this post to all those who have had or will have some form of dementia. Research shows approximately 50 million people have dementia, and there are nearly 10 million new cases every year worldwide. Alzheimer's disease is the most common form of dementia and may contribute to 60–70% of cases. 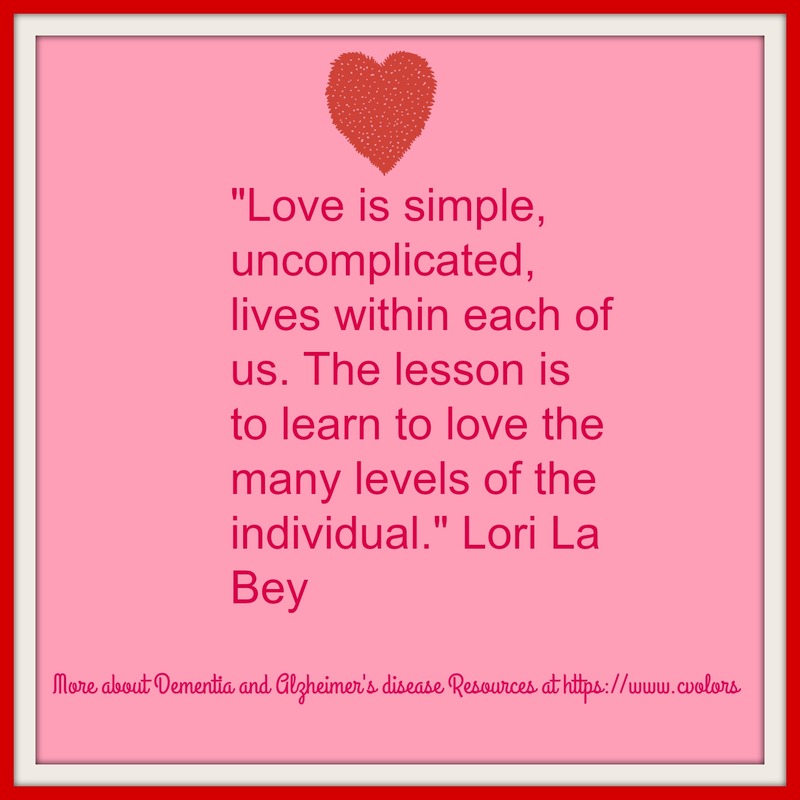 There is no cure for Alzheimer’s disease as yet, but there are many online resources for patients, caregivers, and the health professionals who treat them, due in large part to an energetic, imaginative woman named Lori La Bey. Lori La Bey is the Founder, CEO of Alzheimer’s Speaks. This organization offers multiple platforms to improve dementia care around the world including a radio show, blog, videos, articles, projects and initiatives. In fact, Dr. Oz and Sharecare acknowledge Lori as the Number One Influencer Online for Alzheimer's in the world. 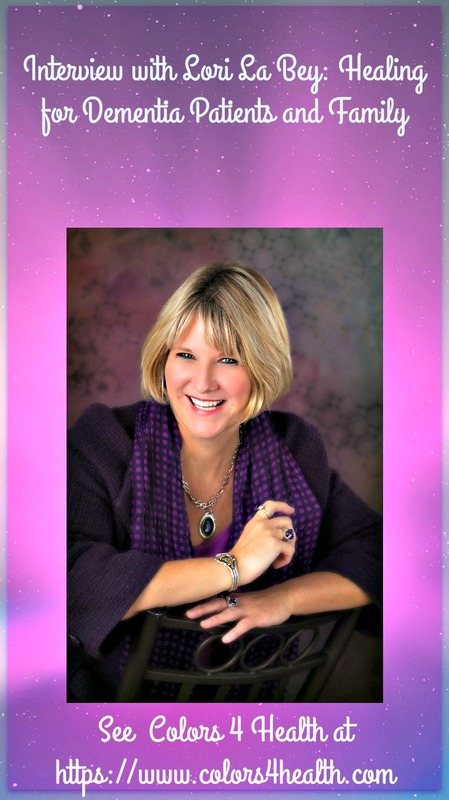 Lori is a keynote speaker, trainer, and unfaltering champion for Alzheimer/Dementia Awareness. I'm grateful she agreed to take time out of her busy schedule to speak with me. Lori has been concerned with memory loss issues for over 30 years, ever since her mother starting having memory problems. Lori’s mom was in the end stages of Alzheimer’s disease for 4 years, before she passed away in 2014. This journey has taught Lori many beautiful life lessons and changed her life. What motivated you to start Alzheimer’s Speaks? 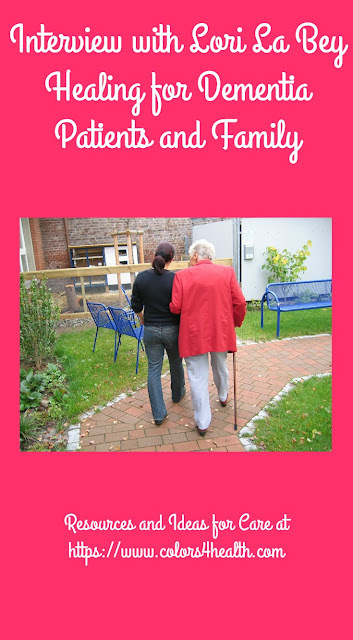 My mother’s journey with dementia was life changing. Feeling lost, unsupported, and with little direction, I sensed our family couldn’t be the only one who was frustrated, exhausted, and depressed by negative marketing, lack of education, and resources. I decided to do something about that. I left my career of 25 years and vowed not to work in a broken system. I figured I could do no worse, but the possibilities of connecting families and professionals to services, products, and tools was exciting and well worth the risk. So I committed my time, energy, life savings, and retirement funds to shifting our dementia care culture from crisis to comfort around the world. It’s been a long road, but in the past ten years, it’s been wonderful to see the changes occurring and the collaborations coming together to improve life for those diagnosed, their families and friends, professionals, and communities at large. Please share one meaningful event that occurred in your personal journey coping with your mom’s Alzheimer’s? As I walked into my mother's room I saw her shadow through the drawn curtain. It looked like she was taking a nap. I looked down from my Mother’s sweet smile and saw her top hiked up just below her breasts. Her elastic pants, now way too big, were just below her belly button. Mom’s full round tummy was exposed to the warmth of the sun. Mom’s eyes twitched before she slowly opened them. She giggled like a small child and said, “Oh no Lori, I don’t think I should be wearing a bikini.” Then, she giggled some more, closed her eyes, and fell back to sleep. In the previous several months, she had lost her appetite, and had lost eighty pounds. As I rubbed her tummy to comfort her, I discovered she had a hernia. That and the bagginess of her clothes all said to me, Mom isn’t going to be around much longer. This disease is nibbling not only at her mind, her soul, but now her physical body. Alzheimer’s disease was winning the battle. I knew this all along, but today it just felt so permanent, so imminent. You see my mother had been in the Nursing Home since 2001. She was diagnosed with Alzheimer’s disease in the mid 90’s, but had memory problems since the early 80's. My reaction that day was to sit and ball my eyes out. My heart felt like it had been dropped kicked one more time. How many times have I said goodbye to yet another piece, another phase of my Mother’s life? My life? I had to say goodbye to a part of this wonderful woman I love with all my heart. I wondered how many more times are left. With no warning God spoke to me so clearly. Lori, you have one more connection, one more great story to tell, one more wonderful memory of your mother. For that be grateful. Today it was the bikini story. Tomorrow is an opportunity for another story. Just embrace the moments. Write them down and share what you have learned. Find the gift wrapped inside the pain. Learn the lessons of the pain Lori. Learn the lessons. My body trembled and tears poured down my face like a faucet. My shirt was soaked, my eyes were so puffy. I could barely see, but my heart was once again full of hope. As I left that day two things hit me. One, Alzheimer’s disease kills individuals multiple times on multiple levels. You can look at it as painful and one loss upon another; or you can look at it like a cat with nine lives. Each life being different from the last, but each offering much love and comfort. 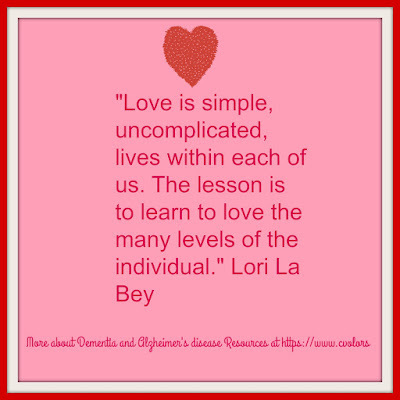 Love is simple, uncomplicated, lives within each of us. The lesson is to learn to love the many levels of the individual. So each day since the bikini incident, I try to look forward to embrace each tiny moment with Mom with love and thankfulness for the gifts in my life, even those that cause me great pain and discomfort. I know each is a memory, each is a piece of her, and a piece of me that cannot be taken from us. Some days I admit, the chaos wins out. I crumble and cry. I lay broken as the cookie crumbles a bit more, and then another moment passes. Another day arrives, and I feel the warmth of the sun and I am thankful for the nine lives that live within each of us. Lori gave her permission to edit this story. To read it in its entirety see The Bikini by Lori La Bey. In addition to this experience, what other things did you do to express your concern and love, and still make time to care for yourself? I developed a tool, “Your Memory Chip.™” See it on YouTube. It asks three questions of me, and was developed, because I wasn’t always the gracious daughter my mother deserved. 2. What do I need to focus on to care for her? I found it wasn’t my checklist. I needed first to focus on was she happy, safe, and pain-free. This changed how I cared for her, how I viewed letting others in to help, and so much more. 3. What do I want to remember? Well, if I want to remember her, I better look for and capture those moments of joy, no matter how small. I did a lot of journal writing and writing down stories she told me to capture those special moments. I also made time to be with my friends weekly. 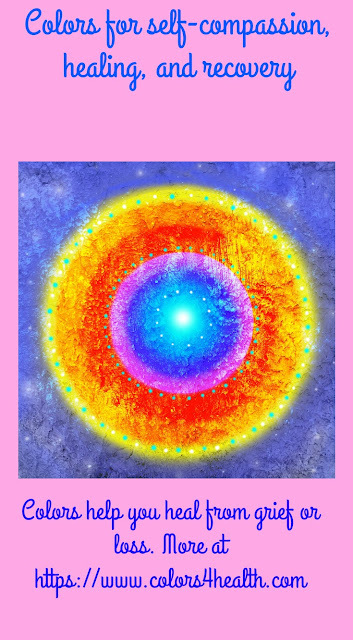 It filled my soul so I could care better for my mother, and feel more balanced in my life. Mediation was something I did too. I'd play a meditation CD, light a candle, turn out the light, and be still. I attended meditation classes as well. Gardening helped me feel really grounded. Sitting outside at night and being amazed and fascinated with the moon, stars, and nature was healing too. A massage didn’t hurt either! In retrospect, are there things you wish you knew more about, when you were dealing with your mom’s illness? Very basic information like what we could expect from her and the disease, how do we best care for her as a family, where can we find resources and support, when the doctors didn’t even seem to have answers, how to find other people living with and dealing with dementia, what was the Alzheimer’s Association and ways they could help us. Hope and joy were never discussed, like they weren't an option. It was a very sad state back then, and I’m glad things have changed. However, we still have a long way to go. What suggestions can you offer to those who have Alzheimer’s or another form of Dementia, and feel challenged and uncertain? Know there is still life to be lived with dementia. Don’t give your relationships over to dementia. No matter what type of situation occurs, think of it is just another thing to adjust to. Know our relationships are always changing, but our connection with one another always remains – we just might have to communicate differently. Know you deserve services and support – so don’t be afraid to share your thoughts, feelings, and challenges with others and find creative ways to make a difference. Let your voice be heard. Talk about your experience knowing it will help others on their journey. It takes center stage in my healing series to show you ways to maintain your quality of living, as you come to terms with a serious health challenge. Even if you're not directly impacted by dementia, I hope it helps raise awareness about this condition and serves as reference material. 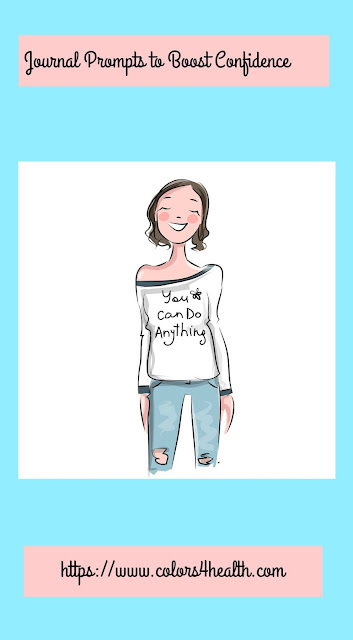 Perhaps Lori and her mom's journey will help you be more fully present when you spend time with loved ones and while you take time for yourself. Do you often notice and appreciate "things as they are in each moment," and feel grateful about being alive each day? Please comment below and share on social media. If you'd be so kind, don't put links in your comment, as I won't be able to post it that way.